Perticara is located in the middle of a beautiful mountainous area, known far and wide as a paradise for the (experienced) cyclist. Perticara is on the route of the famed climbing route across the Nove Colli [external link] (the Nine Mountain route), close to Cesenatico. This course, ridden at the end of May, was recently named after the famous Italian cyclist, Marco Pantani, who lived in Cesenatico. Each year we welcome dedicated cyclists who fearlessly take on vertigo. We take our hats off to you! If the Nine Mountain route goes a bit too far, then you can also cycle through the valleys outside of Perticara. Close to Novafeltria, for example, a ‘flat’ cycle route starts out toward the spa town of Rimini. 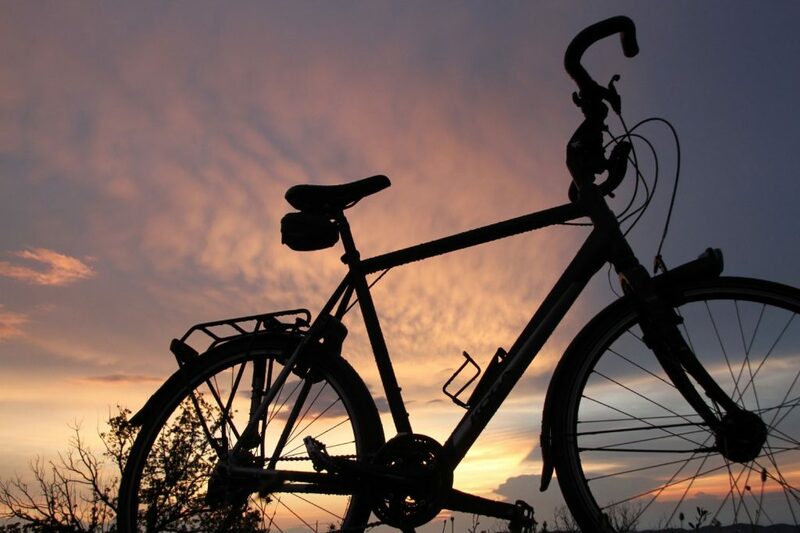 You would need to transport bikes by car for the first part of the journey. 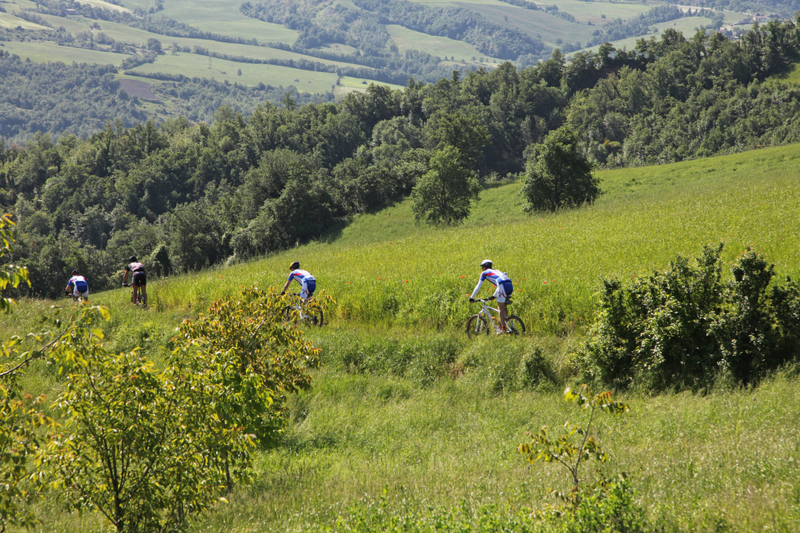 The beautiful countryside around Perticara is ideal for mountain bikes. We have a special map with six (hard going) mountain bike routes, also marked on signs. It is also possible to only cycle parts of the routes.